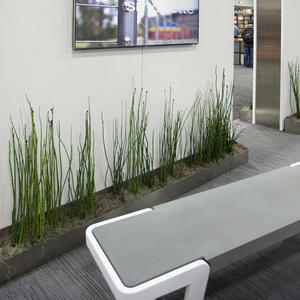 Highlights of ASLA: On with the Show! 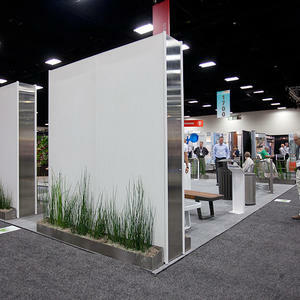 The ASLA (American Society of Landscape Architects) Convention & EXPO was held earlier this month in sunny San Diego, and Forms+Surfaces was delighted to have a presence at this premier event. Our booth, which featured Circuit and Duo Benches with both wood and TAKTL seats, Apex Table Ensemble, Tangent Rail Seating, a sneak peak at our upcoming Tangent Bollard, and other site furniture, generated a lot of interest and our staff enjoyed meeting the attendees and answering questions. 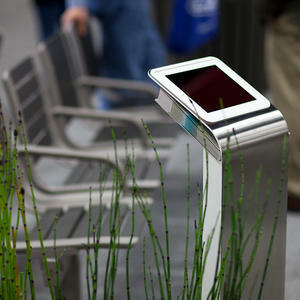 In addition to the EXPO, every year ASLA and Landscape Architecture Magazine host an advertising competition called the “LAMMY” awards. For the third year in a row, Forms+Surfaces was honored to win the LAMMY award for “Advertisement of the Year” for a 2-page spread on our Bike Garden Bike Rack ad, “Always in Season”. 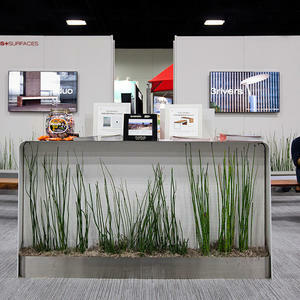 More than 400 exhibitors and 6000 attendees attended the EXPO, which was a menagerie of vendors covering a broad spectrum of specialties in landscape architecture. Thanks to everyone who visited our booth and made the show such a success. 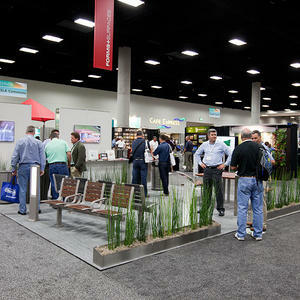 We look forward to seeing you at next year’s show in Phoenix. If you’d like more information on any of our products, visit our website or contact us.